Record heats have been directly linked to drought, wildfires and melting ice across the globe. A study in August of last year found that two greenhouse gases, methane and ethylene, are released by plastics in landfill sites . This research shows that poorly discarded plastics not alone clog up landfill sites, but they actively contribute to climate change. The plastic crisis is not a myth, it’s an evidenced fact with many, many dangerous and tangible effects. It is something that each and every one of us has a responsibility to address. The cleaning industry, for one, should be looking at their own habits when thinking about this crisis. What could cleaners be doing to clean up the planet. We can suggest one immediate action: banish wet wipes. Surprisingly for many, wet wipes are actually a very common example of a single-use plastic, designed to be used once and then discarded. As with all single-use plastics, you’ve got to think about the other contributing factors that could be affecting our planet: the impact of production, transportation and storage of products all contribute to the larger footprint of a disposable product. 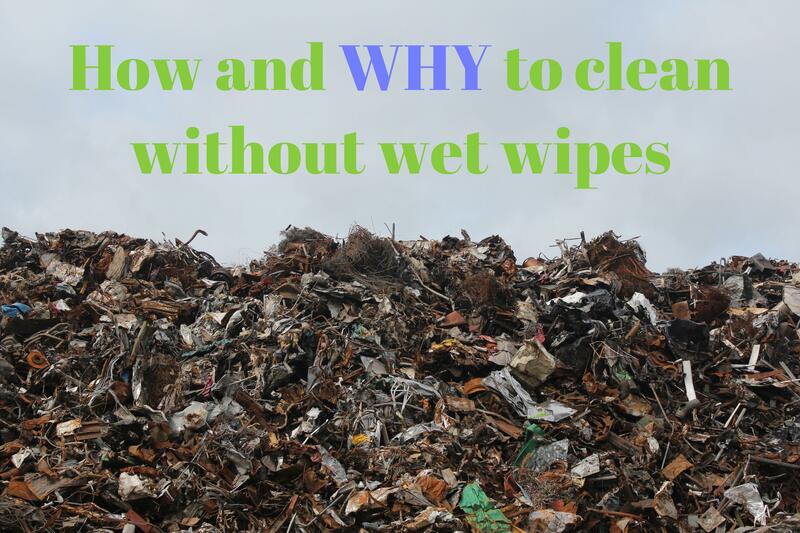 Further issues are caused by frequent misuse of wet wipes/cleaning wipes. Water UK carried out a quite shocking study in December of last year that found wet wipes to be the culprit of 93% of sewer blockages. Those that don’t cause blockages, and make it through the sewage systems, continue to cause trouble as they frequently end up washed up on river banks and beaches. We shouldn’t really be binning these, either! Everything that ends up in your rubbish bin is destined, by and large, for one place: the landfill. Landfill sites are almost all nearly full and have a detrimental effect on the environment. As waste deteriorates, no end of gases are released into our environment, causing damage to human health and the wellbeing of our planet. Landfill is also a particularly short term solution. For example, it takes 1000 years for a plastic bag to fully degrade. In a world where 1 million plastic bags are used in a single minute, it’s easy to see that this is no long-term solution. We’ve noticed that more and more cleaners are using a spray & microfibre combo to avoid the unnecessary use of disposable cleaning wipes. Although we do recommend the use of a product alongside microfibre tech, many people actually see microfibres as a solution to the chemical problems associated with many common cleaning products. Microfibre cloths are built up of miniscule fibres, each 1/40th of the width of a human hair. Because of this, they clean on a microscopic level, preventing the patchy cleaning that results from using traditional cleaning cloths. They’re also, most importantly, incredibly reusable. Most microfibres can last hundreds of washes, saving you money, as well as preventing unnecessary waste or landfill. Now, let’s be clear - microfibres are technically a microplastic, and they’re likely not perfect for the environment, with concerns about the ‘shedding’ of some of these fibres during the washing process. They are, however, heavily reusable, as well as requiring less cleaning chemicals, which themselves are often problematic for the environment. So buy high-quality microfibers, and use them as many times as your can. This will certainly have a significant net benefit for the environment, regardless of the minor catch of microfibre's plastic identity. ← 5 Top Tips: How to WOW your customers!